We are pleased to invite you to the dialogue on reaching complete market transformation to sustainable palm oil in 2020. 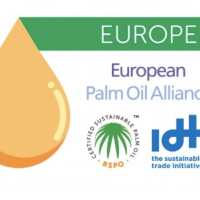 During the day, the European Palm Oil Alliance (EPOA), Roundtable on Sustainable Palm Oil (RSPO), and IDH, The Sustainable Trade Initiative will also each give updates on recent developments. The Amsterdam Declaration Partnership will give a briefing on their progress as well. Specifically, this day is developed for networking amongst our shared stakeholders. Be prepared for a lively debate! The draft program is available here. Registration is free but space is limited, please register here before May 20 to avoid disappointment. Cancellations after 10 June will be subject to an automated charge of 50 euros for catering expenses.